After last week’s faction reveal we’ve been busy putting all the orc assets into the game. Most of the work was not adding our greenskinned friends to the game themselves, but improving the AI to make the best use of all the nice and shiny new weapons and skills. The AI had to learn how to effectively manage and account for fatigue and morale which the undead did not have to do, as well as a lot of other tactical considerations to allow for the orcs to behave just like we want them to. As a nice side effect, the AI of the undead also benefitted from this and now has some new tricks up its sleeves. We now have a line battle scenario in the game where a band of Battle Brothers faces off against a bloodthirsty band of orcs lead by a fearsome Orc Warlord. 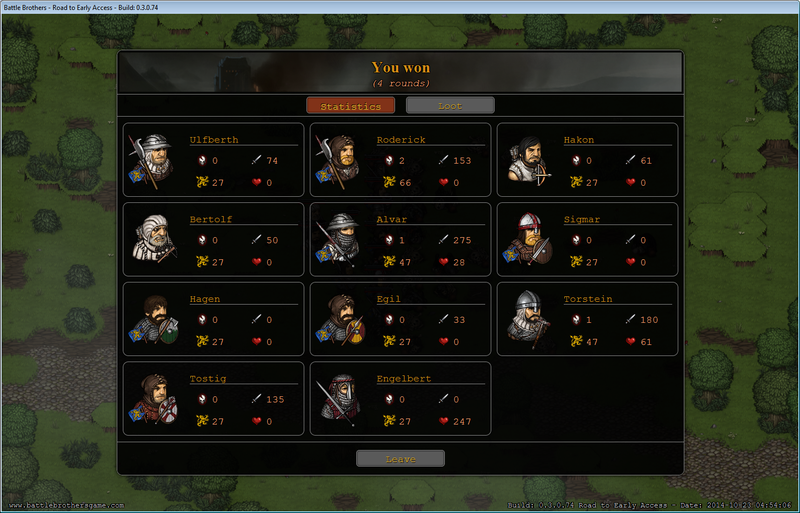 Hopefully we can show the ensuing battle, or massacre, in a commented gameplay video next week. 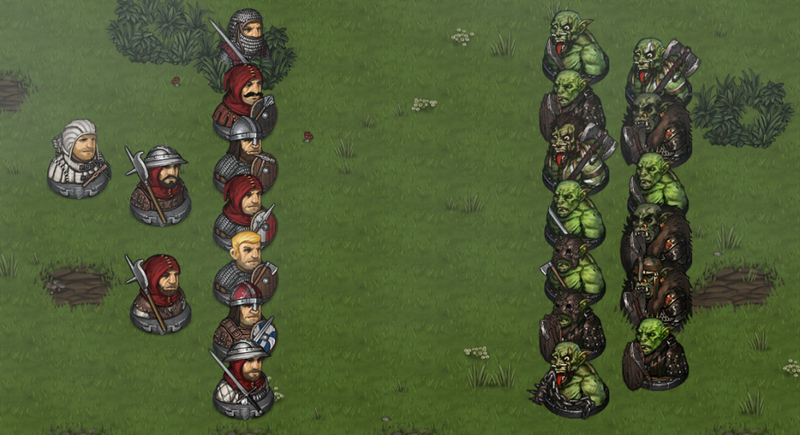 As mentioned before, the orcs will require a drastic re-thinking of the tactics that were effective against the undead. Of course, in the full game campaign where you meet both orcs and undead, you’ll have to adapt quickly to any new enemy or you’re going to have a hard time. A completely new feature that we can now check off our list is the combat result screen that shows after tactical combat. 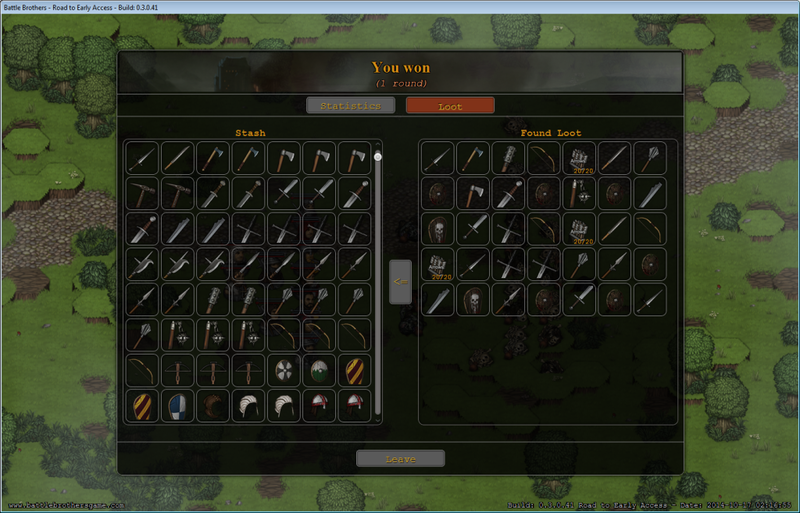 The screen shows two tabs: Statistics and Loot. Tactical combat result screen. Icons still placeholders. The statistics show all Battle Brothers that participated in this particular encounter. For each Brother you’ll see the damage dealt, the damage received, the number of enemies killed, the experience gained, the number of days a Brother will be wounded if he received any injuries and whether he gained a new level. All these stats are not only great for the player to see but they also help us evaluate the combat performance of various equipment set-ups. The second screen shows the loot you found during that battle. Here you can directly drag & drop all the equipment into your stash from the battlefield. In the loot screen all equipment that has been dropped by enemies during combat will show up – so don’t worry about picking all the stuff up during battle. Also, you don’t have to run around the map after combat looking for any drops you might have missed. As you all know there can never be enough weapons to cut down your enemies with, so we added a bunch more. Besides the orc weapons we added the Greataxe to the Battle Brothers armory. Even more exciting, we now have the first throwing weapon in the game: The Javelin. We have a whole bunch of throwing weapons on our backlog that will be added in time, but we’re happy to finally have the first of its kind working in the game. The Greataxe is a two-handed battle axe that can be used both to devastate a single target as well as be swung around in a circle around a Battle brother, potentially hitting every adjacent tile. Another thing it excels at is destroying enemy shields. Most smaller shields wil be destroyed with a single strike of this heavy axe. Because the Round Swing attack hits friends and foes alike, the Greataxe is best used by separated Battle Brothers at the flank of a battle line so that they have enough room to use their axe to full effect. 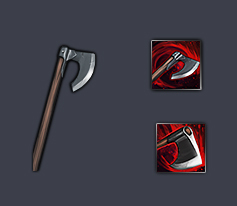 The attack also isn’t particularly accurate, so the Greataxe is best placed in the hands of an experienced man and not a freshly recruited farmhand who never held a weapon before. Javelins are small throwing spears that can be carried in one hand and are usually thrown directly before close combat to weaken the enemies’ battle line. They come in small stacks of four but can be easily used and carried along a shield and one-handed weapon. This makes the javelins a great and flexible addition to most Battle Brothers’ equipment. Their range is rather short compared to arrows and bolts, and they are exhausting to throw. However, their damage is high even against armored targets. What is more, they can also damage enemy shields if they hit those, weakening them or even rendering light shields outright unusable. This makes them great tools to be thrown at the enemy battle line before engaging. Of course, the AI will now use Javelins as well, especially if you set up a nasty defensive Spearwall it has little interest in engaging head on. Would there be a possibility to use javelins as an melee weapon? Could I for example take two complects of javelins? We actually had that in an earlier version as an additional skill for the javelin called “Improvised Attack” but removed it for now as we thought it wasn’t really adding to the tactical combat we were looking for. We might add it again at a later point though. Looks good guys. Will their be an updated demo version released anytime? Not anytime soon, at least. Next stop is the Early Access version. We’ll consider an updated demo again perhaps once the game is nearing completion.